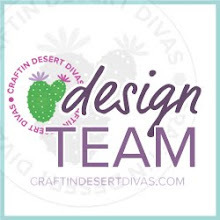 Fantabulous Cricut Challenge Blog asked me to be a guest designer. Of course I said yes and was very excited at the same time. This weeks challenge is #134 Boo Spectacular- make a project using the colors orange and black. Perfect colors since Halloween is right around the corner. As I mentioned previously that Halloween is one of my favorite holidays. The card above is what I made for this challenge. Now it's your turn to see what you can come up with. Have fun and happy haunting!! They also featured our blog yesterday on Spotlight Sunday. If you haven't had the chance to look at their blog please stop by and take a look around. If you were interested in getting to know us a little more, hop on over and read our answers to their questions. I want to give a little shout out to Tammy at FCCB, she was wonderful and we really appreciate this opportunity to highlight our blog. Thanks a bunch. 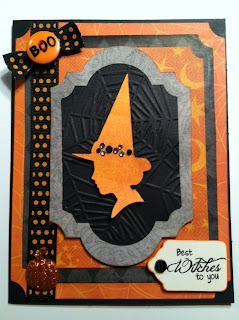 Super Cute and Cool card!Congrats on being the Guest Designer on FCCB!Awesome! Very elegant spooky card. Love the design. Congrats on GD spot. Congrats Tara! Love this card!! Love this card!!!! Ur cards r always great. aww congrats Tara!!! You are a great designer and I love your work and this card is just lovely!!! Fabulous card and fabulous blog! I am facinated with the falling pumkins, bats and candy corn! Thanks for being our guest designer this week!